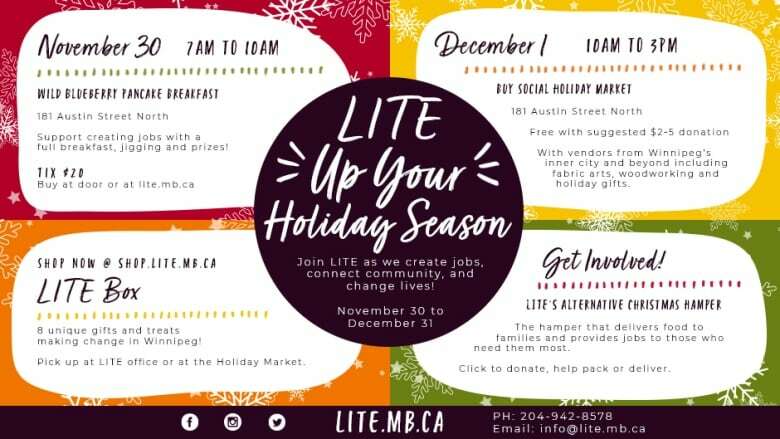 LITE Winnipeg hosts a holiday market fundraiser that supports local social enterprises. CBC Manitoba will host a free "make and take" workshop at the market for a no-sew tote bag. On Saturday, venture out with a warm beverage and visit a different kind of holiday market — one that has an extra-special ingredient. Heart. The Buy Social Holiday Market is a new kind of fundraising event for LITE Winnipeg, an organization that offers employment grants to social enterprises. Their funding helps to create supportive employment opportunities that can turn the tide of poverty and isolation in our city. "We wanted to show Winnipeggers that there's more than what meets the eye when you see our community members struggling," said Tyler Pearce, executive director of LITE Winnipeg. "There's a way to help — support, shop and buy social. 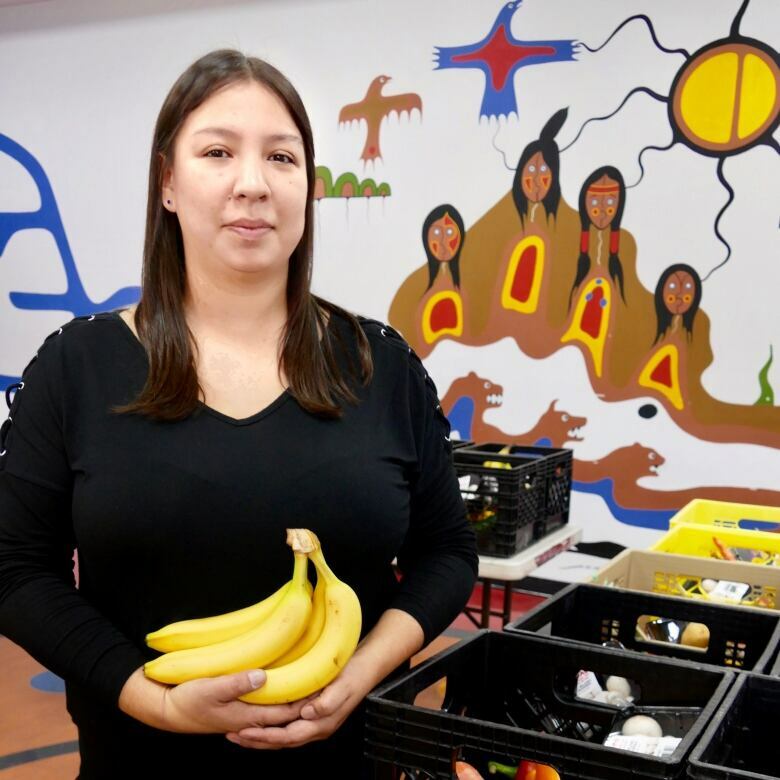 We think it's a clever play on words that hopefully gets ​Winnipeggers to do their part to address poverty in our city," she said. "Winnipeg's in love with craft markets right now that celebrate the fantastic local artisans and entrepreneurs of our city." The market hosts nearly 40 different social enterprises which will have their products and services on display for purchase. 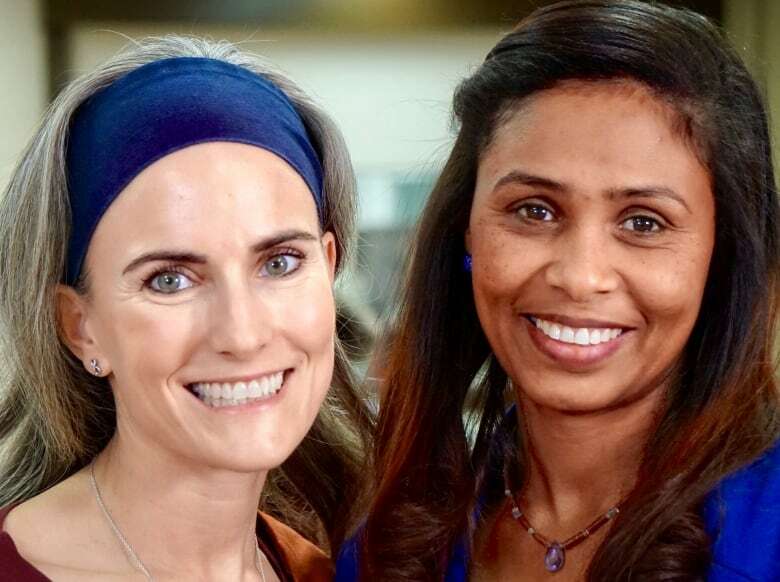 Melissa McDonald and Etagengni "Mimi" AbegaziMimi both received jobs because of LITE grants and told CBC what LITE and local social enterprises have done for them. McDonald works at the North End Food Security Network, a program of the North End Community Renewal Corporation. NECRC is a non-profit organization committed to the social, economic and cultural renewal of the North End of Winnipeg. "As the co-ordinator of North End Food Security Network, we believe in the equal right to healthy food for all," she said. "I really enjoy my job, because I get to work with food and incorporate healthy eating into the community through our programs and workshops. "LITE has given North End Community Renewal Corp. and North End Food Security Network the privilege to package and distribute hampers this year as well as provide short-term employment opportunities for residents." AbegaziMimi sews at One Nation Exchange and is a newcomer to Canada. "I came to One Nation Exchange almost five years ago, when it was a drop-in for newcomer mothers and their young children," she said. "Last year I learned to sew at their program, and this summer I worked as an assistant sewing instructor. "I love the feeling of community at One Nation Exchange and am thankful that I can sew their products out of my own home as well. We are still a very new business, and LITE's support helps One Nation Exchange continue to make free sewing training and extra income for women possible." One Nation Exchange tote bags will be for sale at the holiday market. You'll also be able to purchase homemade confections such as jams, honey and baked goods like cookies and bannock, fabric art, wood-workings, jewlery and more. 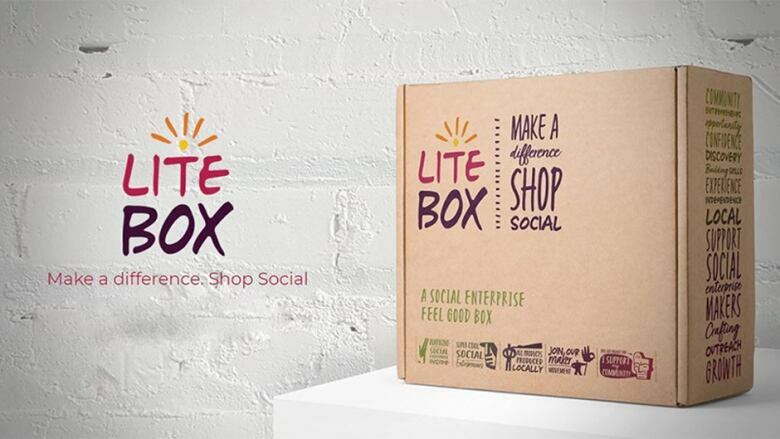 The Buy Social Holiday Market is also where LITE will launch its LITE Box. Retailing for $75.00, the box can be purchased online through LITE's website or in person at the market. Inside is a collection of locally made products specially put together to highlight select social enterprises. Found inside the box are Beeproject's Neighbourhood Honey, Wild Blueberries Jam by Lena Friesen, a hand-painted chickadee ornament by Keith Proulx, a limited edition framed print of One Nation Exchange's emblem symbolizing intercultural unity, a Bannock-in-a-box sampler and a LITE coffee mug. You also have the chance to make something extra special of your own with CBC Manitoba. Stop by the CBC Manitoba "make and take" workshop to put together your very own no-sew tote bag made from recycled materials. The workshop is free to participate and we'll be crafting while supplies last. The felt fabric comes from Mother Earth Recycling and is made from recycled mattresses. Tony Chestnut, a local fashion designer who recently opened up a retail shop inside Little Sister Coffee on Osborne, donated vintage buttons for the project. Each piece looks a little bit different and once you're done crafting, it will be one of a kind. All skill levels are welcome and no experience is needed. CBC Manitoba is pleased to sponsor LITE Winnipeg's Buy Social Holiday Market. Our commitment is to highlight the stories of our community and we firmly believe that everyone has a story worth telling. LITE is Winnipeg's foundation dedicated to job creation for people that need a hand up into work and out of poverty. Learn more at www.lite.mb.ca. 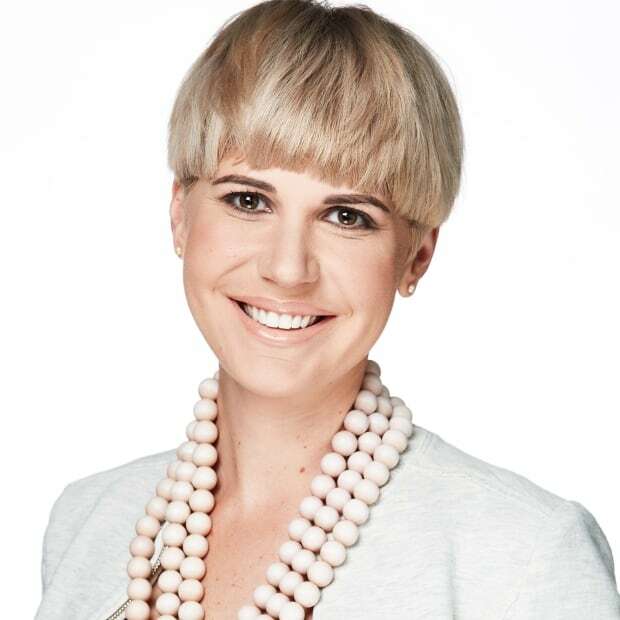 Lindsay MacKenzie is a marketer, brand loyalty builder, fashion enthusiast and, albeit these days a little more pro than closet, opera singer. At CBC Manitoba, she works hard to connect communities to their public broadcaster with projects such as #CBCTweetUpMB, #CBCatSix, #CBCMBFuture40 and innovative outreaches. All while chasing the ever elusive runner's high.